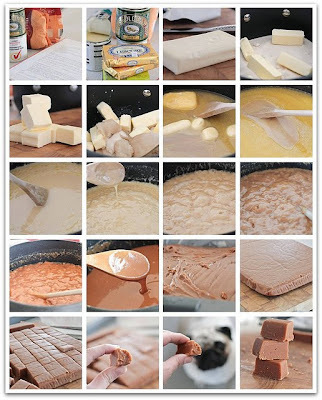 On low heat dissolve sugar and butter with a “splash” of milk - preferably full cream for a few minutes. Take off stove and add syrup and condensed milk. Cook on low heat, stirring all the while with a wooden spoon. 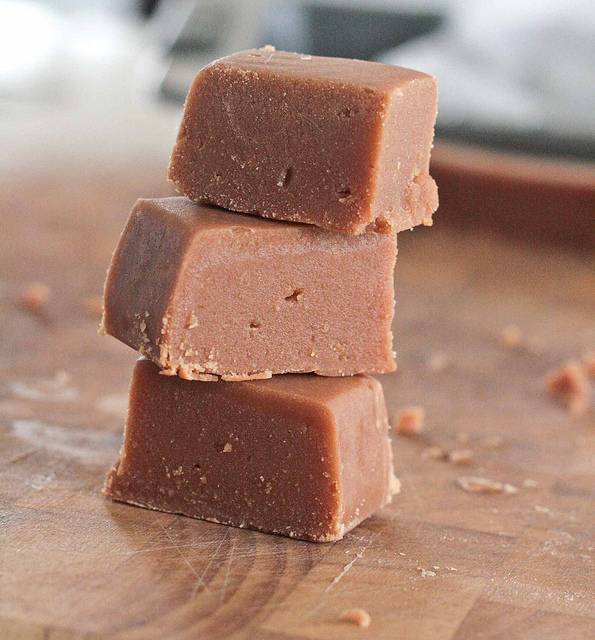 Have a cup of cold water handy to test a few drops of toffee from time to time. When soft ball forms and colour is medium tan it is ready.Add nuts and a splash of vanilla essence, then take off stove and start beating until thick and wavy. Pour into buttered Swiss tin & set in refrigerator for a few minutes.